This beautiful white cotton batiste dress was made in England in the 1920s. It features tiny pintucks on the bodice centered with three featherstitched diamonds representing the trinity. The neckline and the long sleeves are finished with soft white lace. 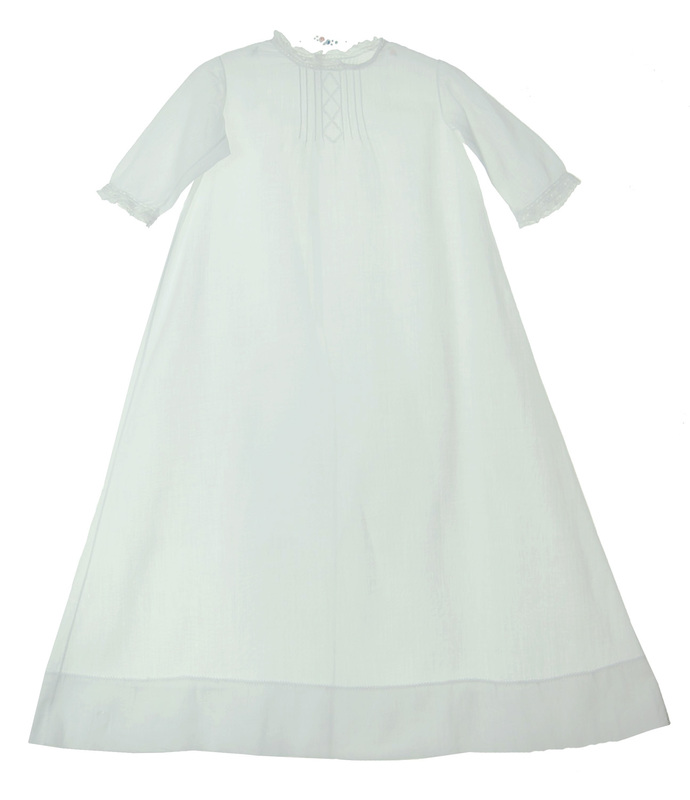 The gown closes in the back with tiny shell buttons and is finished with a deep hem topped with featherstitching.